I've read numerous books by Dean Koontz. He, like Stephen King, has received an unfair assessment by many. They both have been called horror writers. Although they have written in that genre, (Koontz claims to have never written in that genre--that's for another post,) they are both much more than that. Odd Thomas, our hero, is my favorite Koontz character (Jimmy Tock is my favorite narrative). His approach to life and response to his unique gift make him a memorable, if not unlikely, hero. 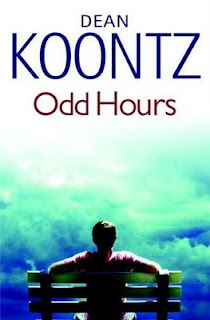 If you need an introduction to Koontz, start with the Odd Thomas series. October is National Breast Cancer Awareness month. eBay has teamed up with Bling My Bra dot Org to raise funds for the Susan G. Komen for the Cure foundation. Here's the basic idea. Aquire a bra, either by generous donation or purchase, add some bling, and send it to Bling My Bra. They will list it on eBay and donate whatever they raise. You can get full instructions for bra blinging and submissions here. I put a lot of long hours and love into this bra and I'll tell you, it feels great to take part in such a great cause (or two as the case may be). So what are you waiting for? Go check out my listing (and I guess you can look at the other bras, too).